Canadian consumer debt is growing a lot faster than Canadian incomes. Canadian consumers are increasingly relying on high-interest payday lenders to make ends meet, as household debt keeps climbing faster than incomes. A new federal government study says payday lending in Canada more than doubled in five years. The Financial Consumer Agency (FCA) says the share of Canadians who used a payday lender in the past year rose to 4.3 per cent in 2014, from 1.9 per cent in 2009. In that time, Canadian household debt rose from around 145 per cent of average annual income to around 160 per cent of income. The debt level hit an all-time high this year above 165 per cent. 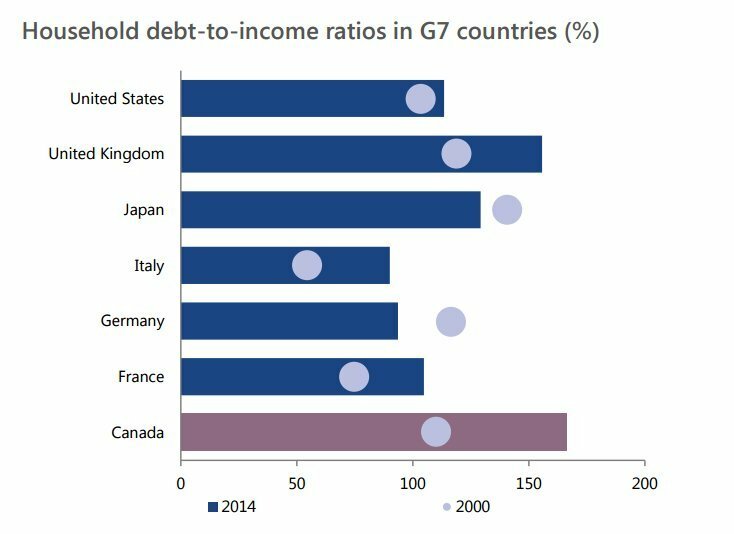 Canadians are now the most indebted consumers among the major economies of the G7. The vast majority of borrowers (89 per cent) said they borrowed from a payday lender to cover unexpected expenses, expected expenses, and to avoid late charges on bills, the FCA said. The agency called the trend “worrisome” and announced it plans to change how it communicates with consumers, to make sure they know they have options other than payday lenders. 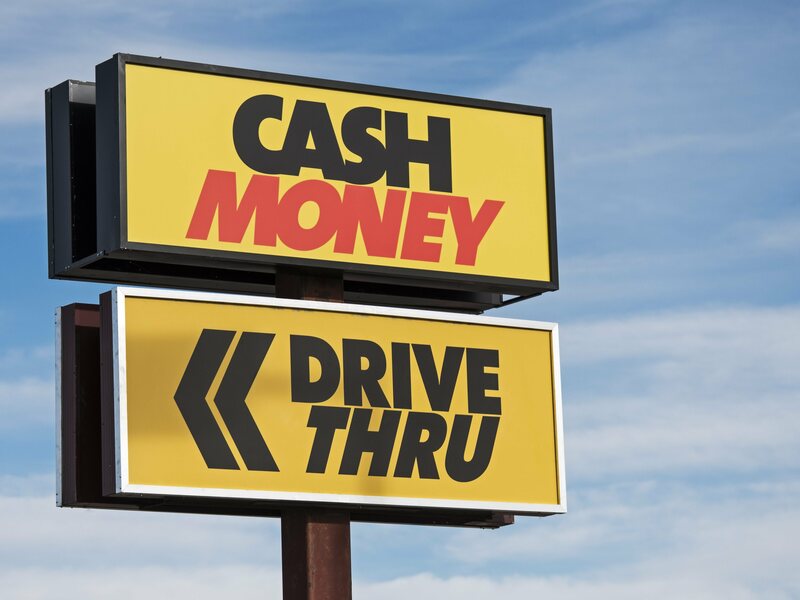 Its survey of 1,500 payday loan users found fewer than half (43 per cent) knew that the interest charged on these short-term loans is much higher than interest on a credit card. In some parts of Canada, payday loans can have annual interest rates of 500 per cent, the FCA said, compared to around 20 per cent to 25 per cent for major credit cards. In this image from Google Street View, three short-term lenders can be seen on one short stretch of Toronto's Yonge Street: Cash Money, easyfinancial and Money Direct. “Payday loans are an expensive way for consumers to borrow money,” said FCA commissioner Lucie Tedesco, in a statement. The growth of payday loans is “a trend that merits more attention,” she added. Could Canada cause a global financial crisis? Canada’s consumer debt, driven primarily by rising house prices leading to larger mortgages and housing costs, is becoming a concern for the international banking community, Bloomberg reported this week. It noted that this year, for the first time ever, total Canadian household debt grew to be larger than the Canadian economy as a whole, at 100.5 per cent of GDP. Bankers say the possibility of a Canadian consumer debt crisis — something Canada’s Parliamentary Budget Office warned earlier this year could come as soon as 2020 — threatens growth and stability in the global financial system. 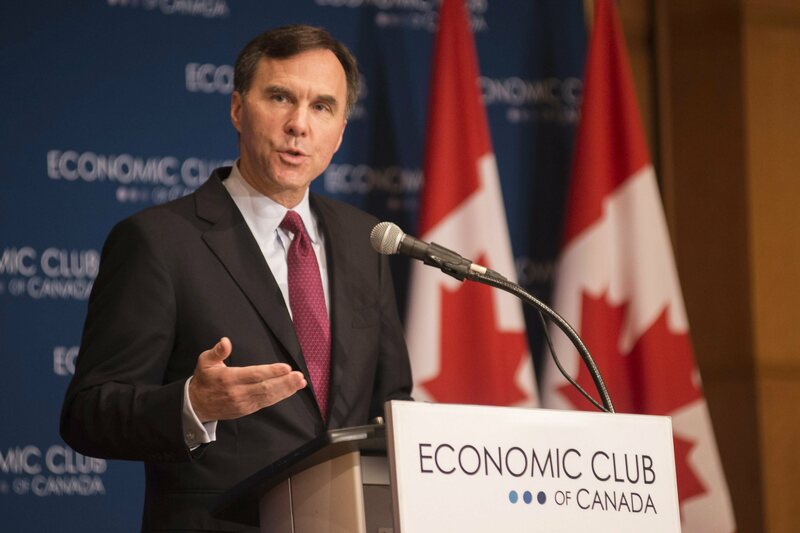 The federal Liberals took a major step towards reducing consumer debt growth with the announcement of new mortgage rules earlier this month. The new rules require borrowers of five-year, fixed-rate mortgages (far and away the most common mortgage type in Canada) to pass a “stress test” to ensure they can afford higher interest rates. The move is expected to cool house prices, potentially reducing growth in mortgages as well.